The skies are safer for migrating birds thanks to the dedication and exceptional efforts from the following organizations. These companies have chosen to follow the Wisconsin Humane Society's Wildlife Rehabilitation Center guidelines and reduced the chance of birds being injured by employing light reductions at night and using products specially designed to stop daytime collisions. The Village of Bayside, Wisconsin minimizes or extinguishes interior lighting visible through exterior windows and exterior vanity lighting between 11 p.m. and 7 a.m. during migration periods. When lighting is necessary, they utilize motion-detectors to control lights, program timers to fit hours of operation and cleaning, and reduce perimeter lighting. Their Village Hall also has a number of bird-friendly design features such as small windows in some areas, and overhangs over some windows that serve to reduce reflections on the outside of the glass. 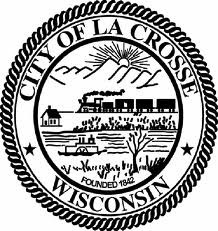 At the City Hall building in La Crosse, they minimize or extinguish night lighting (lighting visible through exterior windows and exterior vanity lighting), between the hours of 11:00 p.m. and 7:00 a.m. during migration periods (mid-August through October, and mid-March through May). When lighting is necessary, they utilize motion detectors to control lights, reschedule night cleaning to reduce the amount of time lights are needed, and re-program light timers to fit hours of operation and cleaning. At their national headquarters in Madison, American Family Insurance minimizes night lighting during spring and fall migration periods. They utilize motion-detectors to control some lights; they've rescheduled night cleaning to reduce the amount of time lights are needed; they've reprogrammed light timers to fit hours of operation and cleaning; reduced perimeter lighting; installed lower-intensity lighting where appropriate, and they seasonally monitor for bird collisions with their windows. The City of Oshkosh minimizes or extinguishes night lighting at City Hall during migration periods. When lighting is necessary, they utilize motion-detectors to control lights. They've installed lower-intensity lighting and incorporated bird-friendly features in the building's design by minimizing areas of exterior glass, utilizing downward-tilting window panes, and using recessed or shaded windows to reduce reflections. The WHS Ozaukee Campus minimizes or extinguishes unnecessary interior night lighting. We've installed lower-intensity, downward-directed exterior lighting and incorporated bird-friendly features in the building's design. Exterior glass is fritted to reduce the potential for window strikes. The Hawthorn Hollow Nature Sanctuary and Arboretum is minimizing night-lighting at their buildings. They have also applied WindowAlerts to their windows to minimize daytime window collisions. 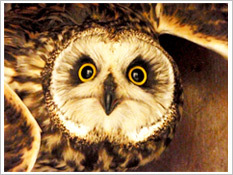 The North Lakeland Discovery Center in Manitowish Waters minimizes the risk of bird collisions on their windows by minimizing night lighting and perimeter lighting. They also move activities requiring light to interior rooms and use low-intensity task lighting like desk lamps, and they apply window clings, CollidEscape or BirdScreens, etc. to low-level windows to reduce daytime collisions. Schlitz Audubon Nature Center used bird-safe designs when building their new Environmental Learning Center. They also use window treatments as needed to prevent bird window collisions and turn their interior lights off at night to prevent nighttime collisions. 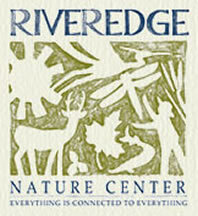 The Riveredge Nature Center in Saukville, Wisconsin minimizes or extinguishes night lighting between the hours of 11 p.m. and 7 a.m. during migration periods (mid-August through October, and mid-March through May). They also reduce perimeter lighting, use solar reflective blinds or curtains to reduce daytime collisions, and apply window clings, CollidEscape or BirdScreens, etc. to windows to reduce daytime collisions. The Urban Ecology Center has minimized migratory bird collisions by installing specialized window treatments on their new resource center and classroom's windows. They have also employed light reduction techniques. The Wehr Nature Center minimizes night lighting between the hours of 11:00 p.m. and 7:00 a.m. They also have employed alternate lighting techniques and installed exterior window treatments to prevent window collisions. They've also reduced perimeter lighting and re-programmed automatic lighting timers to only light the building during operational and cleaning hours. 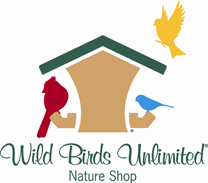 The Greenfield Wild Birds Unlimited store minimizes night lighting (lighting visible through exterior windows) between the hours of 11:00 p.m. and 7:00 a.m. during migration periods (mid-August through October, and mid-March through May). After 11:00 p.m. during migration periods, they move any activities requiring light to interior rooms or use low-intensity task lighting like desk lamps. They also apply window treatments to their windows to reduce daytime collisions. The WHS Milwaukee Campus reduces migratory bird collisions by extinguishing interior night lighting and reducing exterior night lighting between 11 p.m. and 7 a.m. during migratory periods. WHS also applied window clings and installed BirdScreens to low-level windows to reduce daytime collisions.